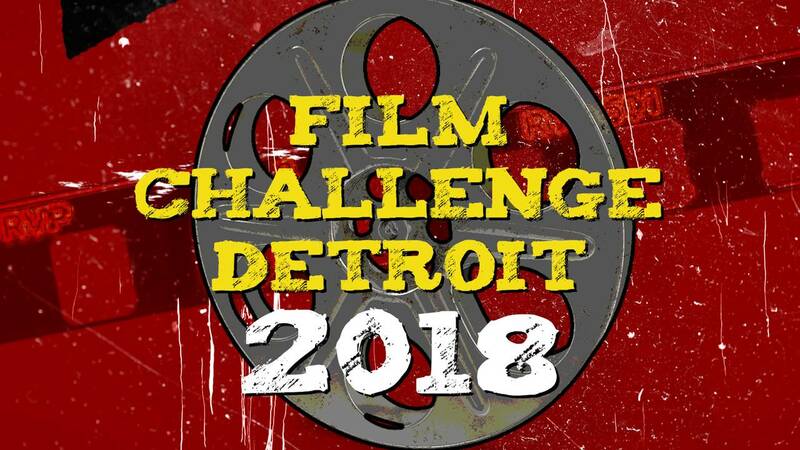 DETROIT - This year’s Film Challenge Detroit kicks off on June 26 at midnight! Film Challenge Detroit was started as a user-generated film competition with very few barriers to entry for local film makers. Each year we ask the Detroit creative community to submit films between 5-15 minutes in length that fits our theme. We’ve received hundreds of films each year and the quality continues to get better and better. This year our theme is “Fight or Flight." Last year our winning film was “Elevated Remedies” a film by Andre Ray for the theme of Good vs. Evil. Click here to see last year’s Top 10. We are welcoming back our Title Sponsor Oakland University after a year away! The window for entry this year is June 26 until Sept. 9. Our team will narrow down the top 10 and those movies will be scored by our team of VIPs. Those VIPs have included Devin Scillian, Greg Russell, Tati Amare and the Dean of Film Studies from Oakland University in the past. This year we have added two new prizes to recognize the level of talent we’ve seen in the films submitted including a Best Actor Award ($500 and spot in local commercial) and a Best Cinematography Award ($500 B&H) Gift Card. Also new this year is our partner MJR Cinemas, who not only sponsor the Best Cinematography Award, but also will be hosting our Awards Event at their Troy location on Oct. 11! All 10 final films will be screened and the winner of the awards will be revealed.